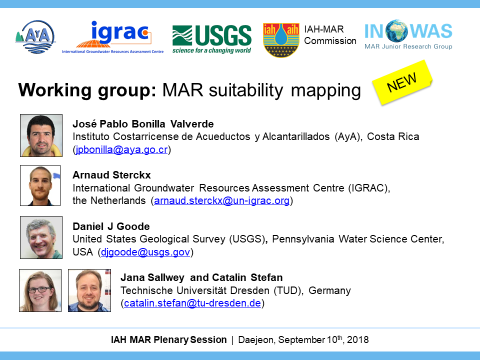 This is a newly formed working group at IAH-MAR at 45th IAH Congress, Daejeon, September 2018 whose initial membership includes Arnaud Sterckx (IGRAC), Daniel Goode (USGS), and Jana Sallwey (TU Dresden), and seeks to grow by being joined by all those with an interest in this topic. 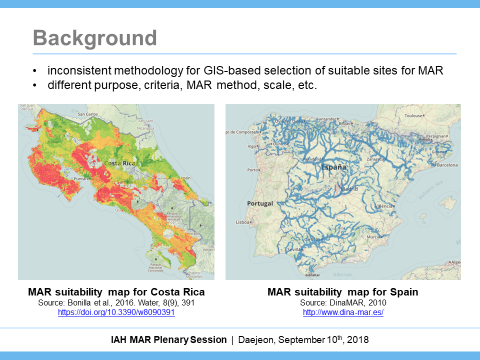 the outputs of the working group. 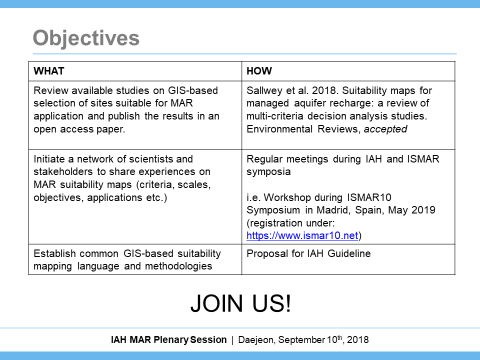 paper when published, and can contribute to formation of the ISMAR10 workshop.